Last week, Ryan Neal of ABM Ammo and I had the opportunity to take part in the 2015 NRA World Shooting Championships, where more than 200 professional and amateur shooters battled it out to gain the title of the World Shooting Champion. The Championship consisted of 12 stages that covered a wide range of disciplines, such as Cowboy Action, Bianchi Cup Mover, Wobble Clays, USPSA as well as some precision long range. 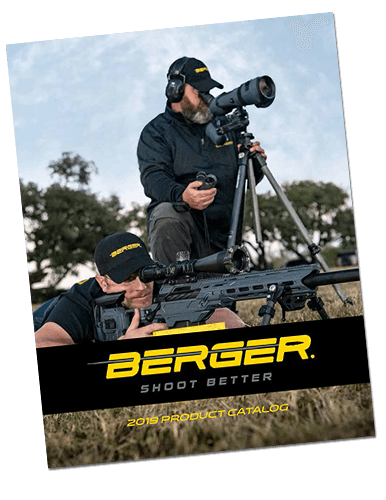 Berger and ABM Ammo were proud to partner with the NRA, Magpul and the Peacemaker National Training Center in Gerrardstown, West Virginia to sponsor two of the match stages. At the Designated Marksman Rifle Challenge at stage 10, competitors had to brace themselves on a large tube and hit five steel targets at distances between 500 and 600 yards, using JP LRP-08 rifles equipped with Nightforce 4-16 ATACR scopes and ABM’s 308 Winchester 168gr Classic Hunters loaded with Berger bullets. Stage 11 was the Precision Rifle Series Long Range Challenge, where competitors had to lay prone as they shot a Surgeon rifle mounted with a Nightforce scope at targets out to 800 yards. Shooters had to engage each of the five steel targets ranging from 16 inches to 8 inches in diameter in a 90 second time period, using only five rounds of ABM’s 308 Winchester 185gr Classic Hunters loaded with >Berger bullets. All of ABM’s ammo is made to match grade standards, which allowed competitors to use our Hunt Ready ammo in this world shooting championship. The DMR Challenge was dominated by BJ Norris with no penalties, resulting in a 29.14 second completion time. In the PRS Long Range Challenge, Wyatt Gibson, a junior shooter, was able to hit all five targets in an impressive 20.29 seconds. When the NRA decided to pull companies together that represented the top of each discipline, ABM ammo loaded with premium Berger bullets was the only option for the long range stages. 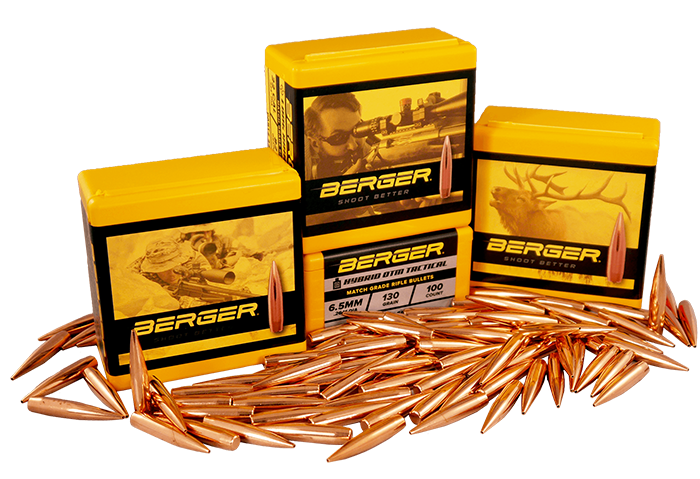 Berger bullets are aerodynamically designed to hit targets at long range with unrivaled precision. 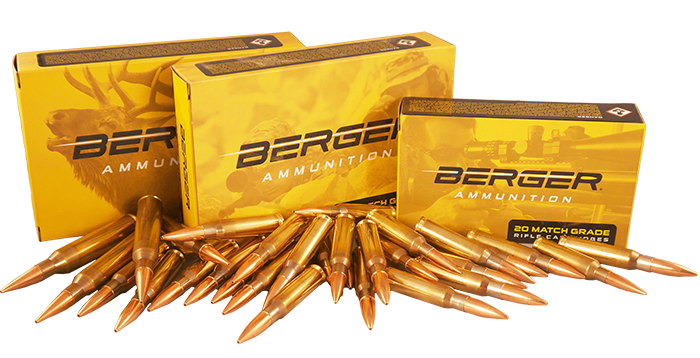 ABM ammo takes the quality of Berger bullets to the next level with meticulous loading processes that equate to standard deviations of less than 10 fps. Coming from an F-Class background, picking up a pistol and shotgun for some of these stages was quite intimidating, but the range officers and fellow competitors were quite gracious. Being able to try out all kinds of new toys made for a great time; however, being able to lie down on a shooting mat behind a Surgeon rifle and Nightforce scope to put some ABM ammo loaded with Berger bullets down range was like coming together with an old friend. Shooting disciplines that I had never competed in gave me a deeper respect for the competitors of varying shooting sports, and especially for the competitors of this match. With Bruce Piatt’s diverse shooting career, it is no wonder he came out on top, taking home the title of 2015 NRA World Shooting Champion along with a check for $25,000. The first place Lady was 3-gun shooter Dianna Muller, taking home a check for $10,000. Congratulations to all the competitors who shot in this match. It was a challenging and fun event to participate in. Also, thank you to all the staff and volunteers who made this an exceptional match! Click HERE to see some of the photos from this match.